Are you looking for reliable and professional locksmith company that sells, installs and repairs Mul-T-Lock products in Chicago, IL? We are a local provider of residential and commercial locksmith services throughout Chicago Illinois. We offer Mul-T-Lock locks installation, repair and replacement services 24 hours in any case of emergency. Our technicians are licensed, bonded and insured, and always ready to provide you fast and professional locksmith services anywhere in Chicago area. Call our experts for a professional locksmith service at your home or business. Mul-t-lockWith more than 40 years in the industry, Mul-T-Lock is a leading manufacturer of locking products for homes and businesses. Their cutting edge research and development and state-of-the-art manufacturing techniques allow Mul-T-Lock products to be among the best on the market and to meet or exceed the highest international standards for quality, safety and reliability. R.O.N Locksmith are proud to be an authorized Mul-T-Lock dealer, bringing Mul-T-Lock high security door locks, deadbolts and lock cylinders to homes and businesses in Chicago Illinois. R.O.N Locksmith carries a full range of Mul-T-Lock products for homes, rental properties and apartments throughout Chicago IL. Residential Mul-T-Lock cylinders are bump, drill and pick resistant and available in a variety of styles to suit every need, while Mul-T-Lock deadbolts are well protected and manufactured out of the finest materials used in the industry. We also are authorized to sell, install and repair ENTR Smart Lock systems, which allow you to keep your home secure while providing the convenience of keyless entry. 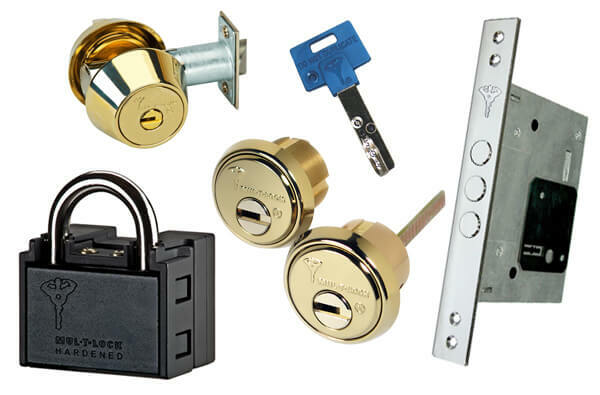 For commercial buildings, the Mul-T-Lock products include a broad range of state-of-the-art locking technologies plus traditional Mul-T-Lock deadbolts and cylinders. Products like the SMARTAir access system, the CLIQ electromechanical locking system and the GPS and GSM-enabled WatchLock provide Chicago businesses with truly advanced protection. Mul-T-Lock even offers a solution for minimizing the risk of employee theft with the Code-It loss prevention system.